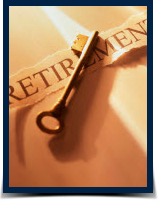 "To safely guide anyone towards realistic retirement income security." Compass Investors' breakthrough Horizon service emerged as a result of years of extensive study and analysis conducted at the Compass Institute, LLC. A sophisticated computer model evolved that sifts, commingles and weights fundamental, technical and economic parameters to identify the currently best-positioned mutual and exchange traded fund investment opportunities. Click for a high-level overview of the Horizon analysis process. The output of this computer model, along with the easy-to-use process and tools allow us to provide subscribers with a self-directed, comprehensive, proven investment service that will optimize their overall financial returns, and is readily incorporated into their busy schedule. With an emphasis on low risk, we offer a clear financial advantage, regardless of investing experience, age, time availability or account size.